Fabulous limos at Absolute Style Limousines are awaiting to give you the most luxurious ride. 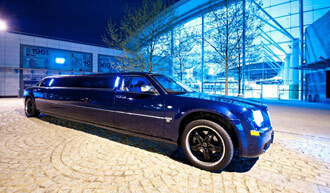 What are your limo hire Maidstone needs? Do you need a wedding limo? Are you looking for an impressive limo to impress your special someone on the anniversary? Do want to make the best use of your last night as a spinster or bachelor by indulging yourself beyond limits? We have a limo to meet your every need. Absolute Style Limousines is one of the most popular Maidstone limo service. We cover the entire Maidstone region and the surrounding areas. The limo hire experience need not be a nightmare or a tedious process any longer. To make our service easily accessible, we keep the entire process simple. You will now be able to make your bookings in just few minutes. You will not be required to visit multiple limo hire companies because we have all the latest limos in our fleet. You will therefore find what you are looking for right here. So waste no time searching for a better service provider. Our award winning limo service is built around customer satisfaction. All our limousines are fitted with the best in-car entertainment equipment so that you can enjoy your ride listening to your favourite music or watching your preferred DVD. We have limousines to fit your requirements both in terms of the occasion and in terms of the number of passengers that need to be transported. Take time to review our exclusive fleet of limousines. We have Stretched Hummers, Super Stretch Excursions, Stretched Chrysler 300C and Stretched Lincoln Town Car just to name a few. To make your limo rides enjoyable and safe, we have some of the best chauffeurs in the region for our limousines. Our handpicked chauffeurs are screened thoroughly. Only those who pass the CRB screening are hired by our company. We give top priority to your safety and we do everything that is within our limits to achieve this goal. Birthdays, special occasions, wedding car hire, Christmas party nights in Maidstone. Our experience has taught us it is not easy to achieve 100% customer satisfaction. However, we never stop making efforts to impress our customers. We never stop with meeting our customers’ expectations but every time, we try to exceed their expectations and thereby setting a mark in the industry. We set the bars high when it comes to the standard of the limo services offered by or company. Every single customer is important to us and our services are geared towards making our customers feel happy. If you have been made to believe that hiring a limo is always expensive, then we are here to prove it wrong. You can find very affordable limo services in Maidstone. We offer highly competitive limo hire Maidstone quotes. You will not only enjoy premium limo rides but you will also save a lot of money at the same time when you hire our services. Our consistently reliable limo hire Maidstone services have made us the number one service provider in the region.